Shopee and Lazada might have enjoyed some success in Thailand, but with JD-Central in the picture, will this last? Still thinking of advertising your e-commerce startups in Thailand, one of the fast-growing online shopping markets in Southeast Asia? You might want to think again. 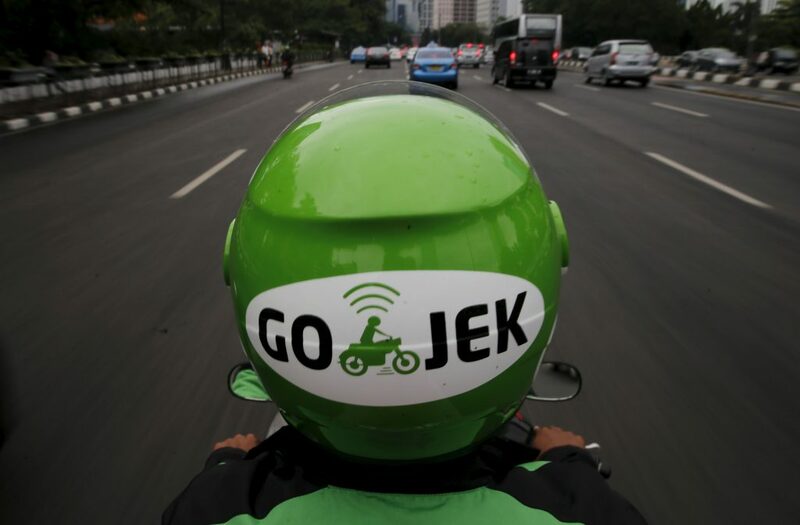 When it comes to discovering online marketplace, consumers in Thailand actually resort to Google and Facebook more often than alternative sources like TV or offline ads, according to a white paper on the Southeast Asian country’s bustling e-commerce scene by consultancy firm ecommerceIQ. The white paper surveyed 1,249 participants who live across Thailand to better understand the average consumer’s shopping preferences and habits. Home to 68 million people, Thailand is the fourth largest country in Southeast Asia. Its e-commerce market is set to grow 8.5% this year, supposedly fuelled by the power of social commerce, according to a report by the Bangkok Post. Currently, two multinational companies have effectively cornered the Thai online shopping market: The now Alibaba-owned Lazada and Shopee, a subsidiary of the publicly listed SEA. Both operate across Southeast Asia. There’s some overlap in what they offer, but Shopee is stronger in targeting fashion and beauty and Lazada focuses more on selling electronics. So why do some shoppers prefer one shopping site over the other? Based on ecommerceIQ’s survey results, it stands out that many Shopee users said that it is its cheap product prices (22.6%) that won them over. Shoppers who prefer Lazada did this for a variety of reasons. For example, they praise the wide product selection (14.2%) even more than the cheap product prices (13.3%). Lazada also had more shoppers saying they like it because it has a good reputation (9.1%), while only 5.4% mention good reputation as the reason why they to choose Shopee. Lazada has been in the market for much longer which may have helped it gain credibility among users. 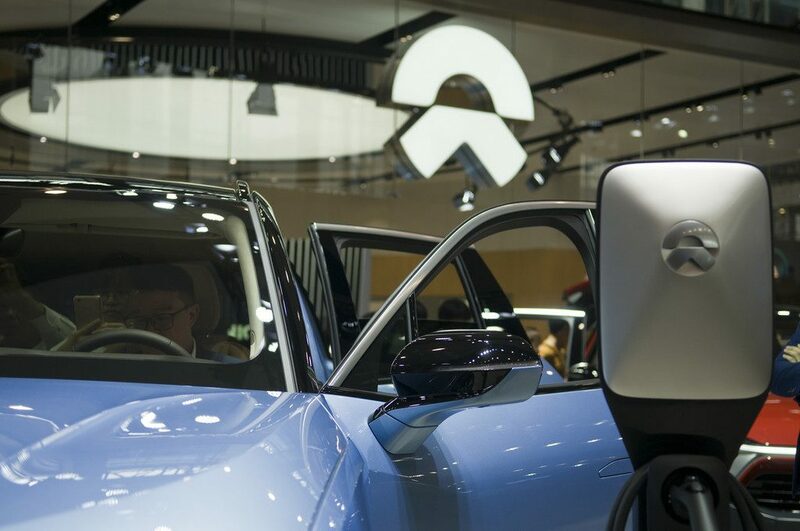 Even though both platforms offer similar products, there are differences in the way they are perceived and in the types of customers they attract. 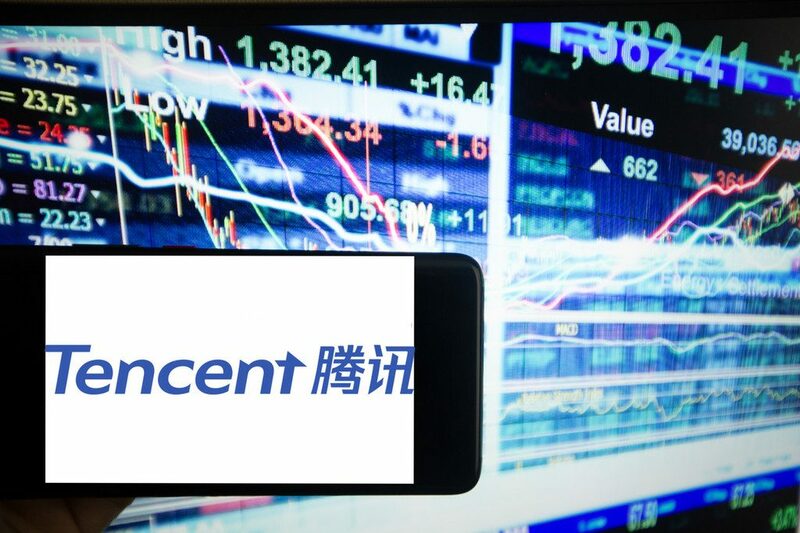 Lazada and Shopee now see some competition from the newly launched JD-Central, a joint venture between JD, second-largest Chinese e-commerce company, and Central Group, a retail conglomerate in Thailand. This newcomer is positioned as a massive online shop where people can buy anything and everything. 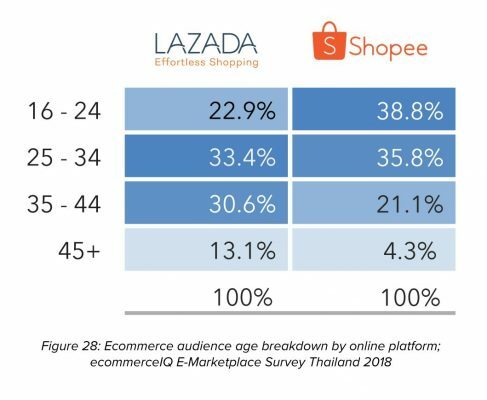 While the biggest age group for Lazada shoppers is 25 to 34, Shopee users tend to be a bit younger, with 38.8% aged between 16 and 24. 64% of respondents are between 16 and 34 years old. Even though Shopee’s main offerings are female-oriented like beauty products, it still has a sizeable male following. 56.6% of Shopee users surveyed are male. Lazada, on the other hand, has a stronger male following with only 32.9% females, the report said. The study also showed that Thai shoppers are big on bargains; most of those surveyed selected ‘cheaper product price’ as the most important factor behind making online purchases. As an emerging market, basket sizes and average order values are still on the lower side, with 64% marked as less than US$30. 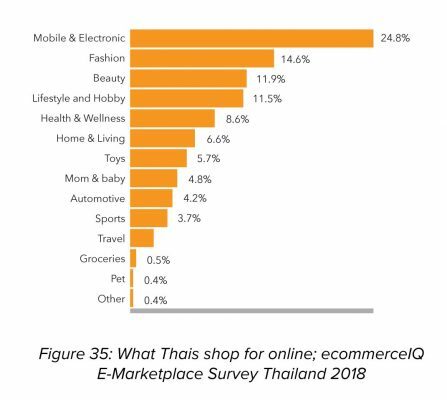 Most Thais are using e-commerce to shop for mobile and electronic goods, followed by fashion and beauty. 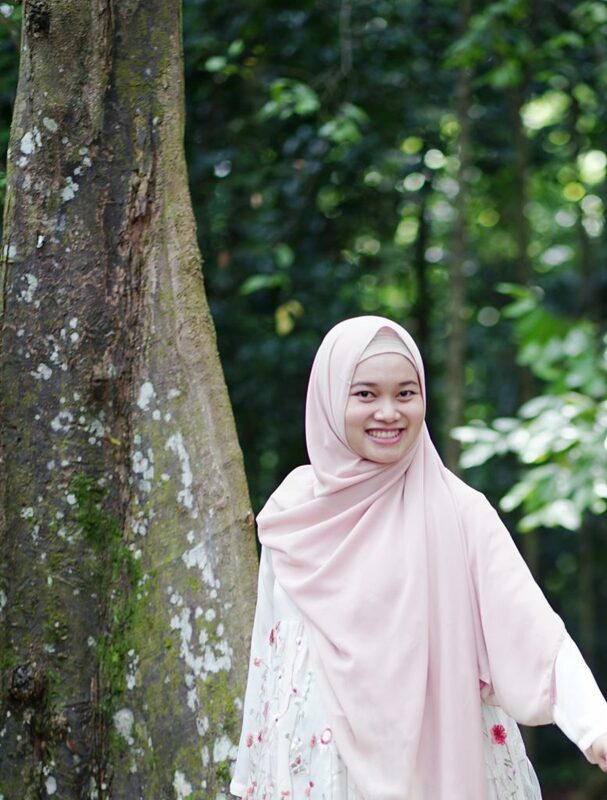 The gender divide between these categories is quite stark; in beauty, for example, 65.8% of people buying such goods online are female, while in the automotive category, only 13.3% are females. Slightly less than half of all customers in Thailand shopping with Lazada or Shopee are from the Bangkok metropolitan area, the report noted. Overall, the shoppers in Bangkok and outside of Bangkok have similar characteristics. The full report can be found here (paywalled).